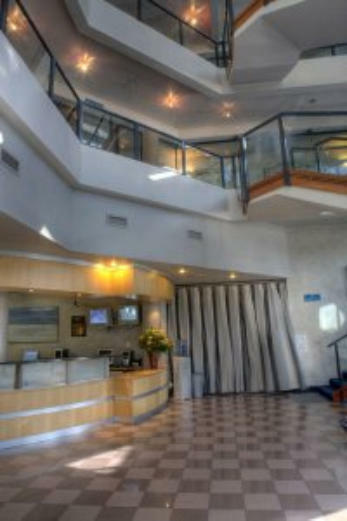 Situated in the crescent of the False Bay coastline, at the base of the Helderberg Mountain range, this spectacular Gold Crown Timeshare resort is the only resort in SA which is built on the beach and extends 25 meters over the waves. The floor to ceiling windows of our fully self catering units provides spectacular views of both the mountain and sea. Enjoy relaxing or energetic walks on the soft sea sand with the rhythmic sound of the waves and the seagulls soaring above you. For the touring enthusiast the Strand Pavilion's location is ideal as a base of operation with well known tourist destinations spread around the resort in all directions. Cape Town City centre 47km, Somerset West 5km, Gordon's Bay 5km, Hermanus 70km, Stellenbosch Wine Route 15km The Strand Pavilion is the perfect treasure for your family holiday or just a romantic break. There are 1, 2 and 3 bed roomed units, all fitted with sleeper couches which can accommodate 2 extra children under 8 years of age. All apartments are fully self-catering with all the convenience of a home away from home, with microwaves, stoves with ovens, family sized refrigerators, all linen and towels and kitchenware included. Just pack your bag and enjoy your stay. We even provide beach towels at reception for your convenience.